PARC has formed a Disease Task Team to facilitate and guide communication on herpetofaunal diseases. The North American landscape has undergone unprecedented change in the last 100 years, and many environments no longer resemble the ecosystems where species evolved. In some cases, these changes have created ideal conditions for the emergence of infectious diseases. Herpetofauna are among the most imperiled vertebrate taxa, and pathogens are playing a role in their decline. In the past 15 years, widespread epidemics have been observed, such as those associated with Batrachochytrium dendrobatidis (a type of chytrid fungus) and ranavirus. Recently, Ophidiomyces ophiodiicola (Snake Fungal Disease) in the eastern USA and a new species of chytrid fungus in Europe (B. salamandrivorans) emerged. Undoubtedly, humans are playing a role in the emergence of herpetofaunal pathogens, whether through altering environmental conditions or translocating pathogens over large geographical distances, where they function as novel disease agents. Conserving the health of herpetofaunal populations is fundamental to conserving the integrity and biodiversity of ecosystems. Facilitate rapid response to, surveillance of, and research on emerging pathogens in herpetofaunal populations. Ensuring the health of herpetofaunal populations requires an integrated response and management plan that combines epidemiological knowledge, pathogen surveillance, population monitoring, biomedical diagnostics, and intervention strategies. Success of strategic plans for wildlife diseases demands significant coordination among various experts and natural resource practitioners. The PARC National Disease Task Team will facilitate collaborations on herpetofaunal diseases as identified or requested. Click here to see PARC Amphibian & Reptile Disease Task Team resources, including region-specific resources, useful websites and other helpful information. To facilitate communication of ongoing disease events in amphibians and reptiles, the PARC Disease Task Team (DTT) has created a disease alert email for people in the USA and Canada to report an incident of sick, dying, or multiple dead amphibians or reptiles. The intent of the PARC DTT is to facilitate communication between the public, professionals, and agencies with the jurisdiction and resources to respond and report a possible case of herpetofaunal disease. The PARC DTT maintains a current list of appropriate individuals to contact in the USA and Canada. To submit a possible case of amphibian or reptile disease, simply send an email to: herp_disease_alert@parcplace.org , with the information below. The Federal, State or Provincial contacts for herpetofaunal diseases will be alerted, and they may contact you further for additional information. Following the report, the managing agency will make a decision on whether or not a follow-up action is needed. This system will help us to facilitate early detection and rapid response actions, where possible. It will also aid our understanding of the scope and severity of emerging infectious diseases. Thank you in advance for your help to keep our herps healthy! Matt Allender is a zoo and wildlife veterinarian that graduated from the University of Illinois in 2004 with his DVM. He went on to complete a MS investigating the health and disease of box turtles and massasauga rattlesnakes prior to completing a residency in Zoological Medicine at the University of Tennessee and Knoxville Zoo. He then joined the faculty at the College of Veterinary Medicine at the University of Illinois and jointly completed a PhD studying the Epidemiology of Ranavirus in Free-ranging Chelonians. 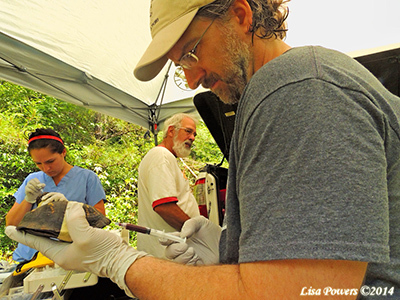 He is the Director of Wildlife Epidemology Laboratory, teaches, performs research, and provides clinical service for free-ranging and captive wildlife. Tracy is a veterinarian with the National Park Service (NPS). 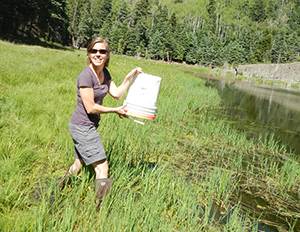 She works in the Biological Resources Division, Wildlife Health Branch in Fort Collins, CO. Her responsibilities include serving as the Chair and Attending Veterinarian for the NPS Institutional Animal Care and Use Committee and in providing technical assistance to NPS units regarding health concerns for reptiles and amphibians. Michael Adams is a Research Ecologist at the U.S. Geological Survey’s Forest and Rangeland Ecosystem Science Center in Corvallis, Oregon. His research focuses on providing useful information related to amphibian conservation for resource management agencies. Research topics including invasive species, climate change, grazing, wetland mitigation, forest management, restoration, and disease. 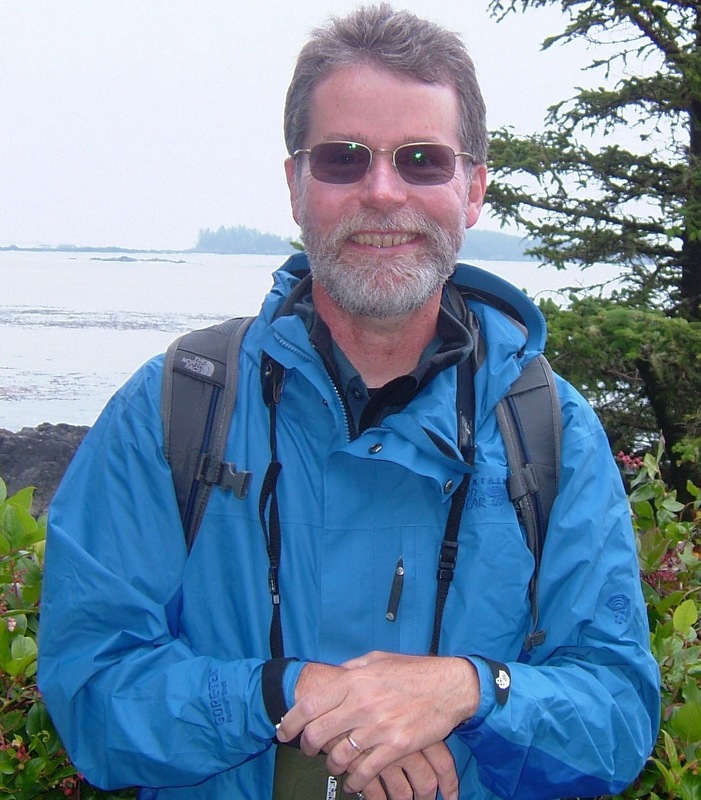 Mike is also the National Lead for the Amphibian Research and Monitoring Initiative and he serves as the USGS Representative on PARC’s Federal Agency Steering Committee. Michelle Christman is a Fish and Wildlife Biologist with the New Mexico Ecological Services Field Office of the U.S. Fish and Wildlife Service in Albuquerque, NM and is currently serving as a Co-chair of Southwest PARC. Michelle works on the conservation, recovery, and management of amphibians and reptiles in the southwest United States. She is particularly interested in working with others through collaborative partnerships for conservation. To this end, she strives to facilitate effective partnerships, such as the New Mexico Chiricahua Leopard Frog Conservation and Recovery Team. Disease is a current and pressing threat facing amphibians and reptiles. Michelle is interested in helping land and natural resource managers conserve amphibians and reptiles through relaying information, raising awareness, and finding solutions. Jenn Ballard is the State Wildlife Veterinarian for the Arkansas Game and Fish Commission. She studied wildlife management at Arkansas Tech University before attending veterinary school at the University of Missouri. 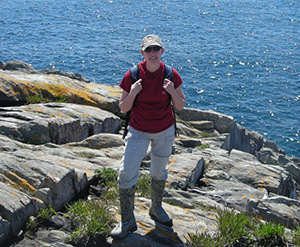 Jenn worked as a diagnostician at the Southeastern Cooperative Wildlife Disease Study while earning a PhD in Veterinary and Biomedical Science studying Wellfleet Bay Virus in the common eider. Jenn has a strong interest in reptile and amphibian diseases as well as wildlife disease ecology in general. She is very active the Bsal National Task Force as well as the PARC Disease Task Team. 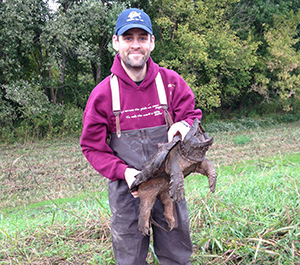 Dr. Matt Gray is a disease ecologist with expertise in amphibian pathogens. Dr. Gray’s research uses a combination of field surveillance and controlled experiments in the laboratory and mesocosms to elucidate host-pathogen interactions and factors that might contribute to emergence. Prior to becoming co-chair of the National PARC Disease Task Team, he was co-chair of the Southeast PARC Disease Task Team for six years, and led that group to producing over 20 outreach products. Dr. Gray has led workshops on designing surveillance studies for herpetofaunal pathogens, best practices for sample collection and decontamination, and necropsy procedures. He also is Director of the Global Ranavirus Consortium, and recently co-edited the first book on ranaviruses. Katie Haman is a Fish and Wildlife Veterinarian with the Washington Department of Fish and Wildlife. She completed her MSc in 2006 from the University of Maryland and then spent years working as a field biologist with a primary focus on reptiles, fish, and birds before going back to vet school. During this time she was fortunate to spend time working in amazing, pristine ecosystems from an undeveloped barrier island off the coast of Georgia to Antarctica. After finishing her DVM from the University of Georgia, she began pursuing a PhD in Zoology with a focus in Molecular Epidemiology. 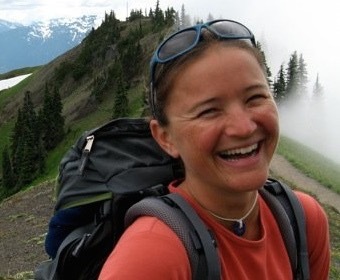 Joining WDFW in 2014, she now focuses on fish and non-game wildlife health in the state of Washington, with a key interest in the role host microbiomes may play in disease and overall population health of fish and wildlife species, especially salmonids, reptiles, and amphibians. Katie is the lead of WDFW’s Western Pond Turtle Health Team, a highly functional collaborative team established to investigate the etiology and impact of a devastating shell disease in this species, one of only two native turtles in Washington. Reid Harris is a professor of biology at James Madison University and Director of International Disease Mitigation with the Amphibian Survival Alliance. He completed his masters degree at the University of Maryland before attending Duke University for his doctoral degree and postdoctoral work, all focused on amphibian ecology and evolution. He is credited with the idea of using skin probiotics to combat the lethal chytrid fungus that has decimated amphibian populations, and he has published widely on this topic. These publications can be found at his James Madison University website. Reid was a delegate to the 2005 Amphibian Conservation Summit that led to the development of the Amphibian Conservation Action Plan. His research has received funding from the Thomas F. and Kate Miller Jeffress Memorial Trust, the Mohamed Bin Zayed Species Conservation Fund, and the National Science Foundation. He was recently elected a fellow of the American Association for the Advancement of Science for his research in amphibian microbial ecology and probiotics. Jim Julian is an Assistant Professor of Biology and Environmental Studies at Penn State University’s Altoona College. 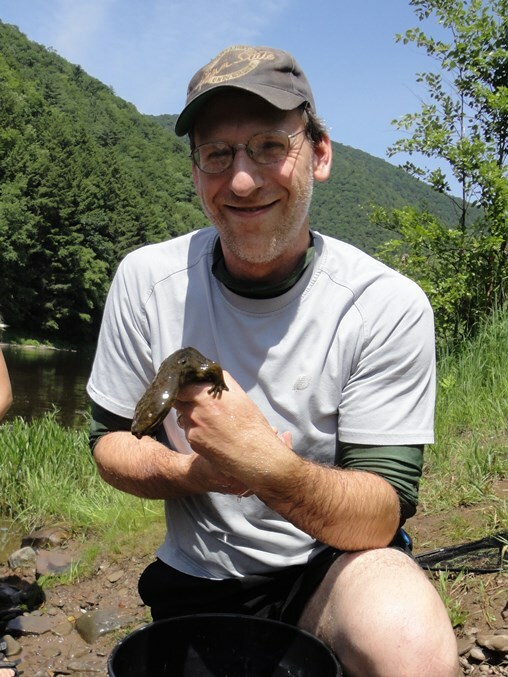 He earned his Ph.D. in Ecology at Penn State in 2009, and has studied the distribution and seasonal infection rates of chytrid fungus and ranavirus in Pennsylvania’s natural and human-created wetlands. He partners with scientists at the U.S. Fish and Wildlife Service’s Northeast Fisheries Center on a number of amphibian disease projects, and is currently coordinating citizen-scientists to screen wetlands for amphibian pathogens by collecting environmental DNA. 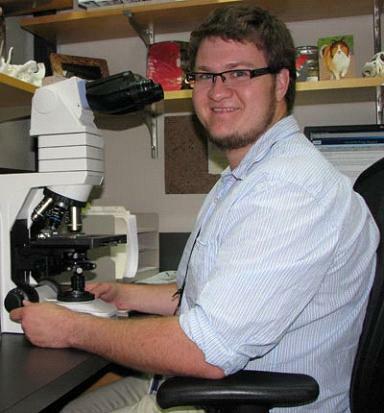 Jim is currently a co-chair for Northeast PARC’s Emerging Disease working group. 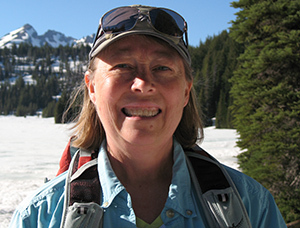 Dede Olson studies the conservation biology, behavioral ecology, and population and community ecology of amphibians. Her current projects address: 1) the effects of forest management practices and riparian buffer widths; 2) microhabitat-to-landscape scale habitat modeling; 3) the effects of climate variation; and 4) the amphibian chytrid fungus, Batrachochytrium dendrobatidis. Gabriela Parra is a researcher at the main unversity in Mexico City, Universidad Nacional Autónoma de México. Her research integrates systematics and conservation of Mexican amphibians. Her studies on amphibian systematics have been focused on plethodontid salamanders using morphological and molecular data, and as a result her group has described 14 new species and recognizes at least 30 taxa that need to be described. In terms of conservation, her group has worked on Ambystomatid and Plethodontid salamanders and by using molecular techniques have identified those populations with higher risk of extinction. In the last five years, her group has been implementing research projects focusing on chytridiomycosis, the disease caused by the fungal pathogen Batrachochytrium dendrobatidis (Bd), as a causal factor of severe population declines observed in plethodontid salamanders in southern Mexico. Ongoing projects include: studies of presence and prevalence of Bd in several areas of Mexico; genetic variation of Bd strains in the country; and the possible synergistic effects of stress caused by temperature and Bd infection, among other factors. Allison Sacerdote-Velat is the Curator of Herpetology at the Chicago Academy of Sciences/Peggy Notebaert Nature Museum, Graduate Faculty Scholar at Northern Illinois University, former Midwest PARC co-chair, and Midwest PARC steering committee member. Allison’s work focuses on regional recovery efforts with herpetofauna, chiefly pond-breeding amphibians, grassland snakes, and ornate box turtles; as well as small mammals. Her research integrates comparative approaches for applied conservation projects for reintroduction, augmentation, and headstarting to better inform wildlife conservation efforts. She is the co-principle investigator for an amphibian disease and stress surveillance project in the Chicago Wilderness region. Allison is interested in working with other reintroduction, translocation, and headstarting practitioners to develop protocols for minimizing risk of disease transmission in conservation projects. Hein Snyman is a Veterinary Pathologist with the British Columbia Ministry of Agriculture’s Veterinary Diagnostic Laboratory in British Columbia, Canada where he is primarily responsible for diagnosing and investigating diseases in reptiles, amphibians, fish, marine mammals and other aquatic animals. Hein completed his BVSc (Bachelor of Veterinary Science) degree in South Africa at the Onderstepoort campus – University of Pretoria in 2008. After spending some time in private practice in South Africa, as an exotics, zoo and wildlife veterinarian, and armed with a deep rooted interest in veterinary pathology he joined the Department of Pathobiology at the Ontario Veterinary College in Guelph, Canada as a graduate student in 2009. He subsequently completed his doctoral degree (DVSc) in Anatomic Pathology in 2013 and during his final year as a graduate student he also achieved Diplomate status with the American College of Veterinary Pathologists (ACVP). Hein enjoys all creatures big and small but has always had a special love for anything that is scaly, slithery and slimy and as such has dedicated much of his veterinary career to diagnosing and investigating diseases in reptiles and amphibians. Laura Sprague is a fish health biologist for U.S. Fish & Wildlife Service at the Idaho Fish Health Center located in Orofino, Idaho, which is part of the the Pacific Northwest Fish Health Program. In addition to monitoring the heath of fish and aquatic organisms on Federal and Tribal hatcheries, she runs assays like bacteriology and PCR/QPCR in the lab. 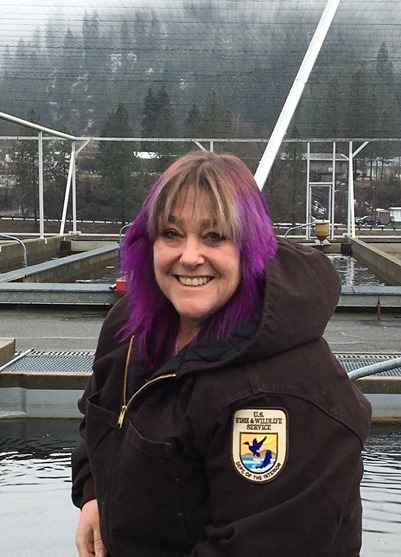 Her primary responsibility is surveying for aquatic pathogens in wild and feral fish and amphibian populations in the Pacific Northwest. She enjoys working with multiple inter- and intra-agency partners to develop biosecurity plans to prevent the introduction and spread of pathogens and aquatic nuisance species. Copyright © 2019 Partners in Amphibian and Reptile Conservation. All rights reserved.